Soon after you enter Costa Rica you will see and experience the unofficial law of the land, “Pura Vida”. Pura Vida means pure living and it oozes through everything in life. From the capital of San Jose to the surf city of Tamarindo you will see Pura Vida imprinted on almost every imaginable thing. It is used for expressing anything good. In everyday speech it means excellent or great or whatever similar expression you prefer. Describing an atmosphere or painting a picture using only words can be quite challenging. The feeling you get from walking down an unfamiliar street, different from everything you know, or the sensation you get from overcoming an obstacle, be that climbing a mountain or taking your first successful turn on a snowboard, is hard to describe and can only be successfully relayed if the recipient has had similar experiences. Regardless of this, I’ll still try. The most obvious result of the Pura Vida mentality is the abundant amount of drugs. 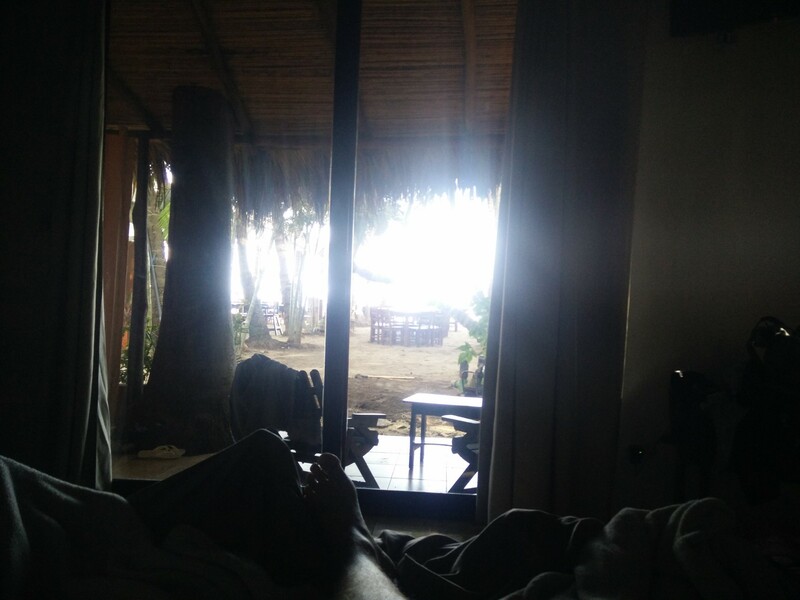 Within hours of arriving to Costa Rica the distinct smell of weed hit our noses (me, my brother, niece and nephew), the first day, a guy clearly drugged up on heroin, started talking to us (very friendly) and within 24 hours we were offered free cocaine by a staff member at the hotel we were staying at. Getting drugs in this country is not a problem. Another very pleasant aspect is the way everyone talks to you. People walking the street greeting you with “”Ey mon, welcome to Tamarindo – come by tonight – its reggae night at the mermaid”, leaves you with a feeling that somehow, every night is reggae night at the mermaid. You can easily talk to someone if you want to, there’s always someone on the streets and you won’t be left alone for long. In many western countries, the way you really relax is at your home, either with some good friends, your family or alone. Preferably with some good wine, a blanket, some Netflix or a movie. It obviously varies from person to person but generally speaking, relaxing doesn’t involve physical activity or talking to people you don’t know. Talking to strangers requires preparation and a mind set for socializing. In Costa Rica relaxing means hanging around your favourite spot talking to everyone who passes by. You’ve got the surfer who spends his whole life at the beach doing nothing but surfing at day and partying at night. The way he survives financially is by teaching other people how to surf and as such he is set for life. Maybe when he is older he opens a surf shop and hires younger surfers as teacher. Surfing is his life and he enjoys every day of it. No need for excessive materialism. On the other end you’ve got the street vendor. He spends most of his days on a street corner talking to people while selling his goods. He is not like a cashier in a western supermarket who does his or her job at $8 an hour and just wants to be done with it, so the actual part of life enjoyed by the cashier can begin in the evenings and weekends. No, this guy likes what he is doing and when he feels like he’s sold enough for the day he goes home and probably enjoys some divinely tasty food made from fresh vegetables. Naturally, it’s homemade. Costa Rica is a poor country and it sets its limits. You can’t get an expensive car and you can’t travel to the other side of the world on a trip like the one we’re on now. Many things that we westerners consider necessities are not available to the average Costa Rican and for that reason alone many people wouldn’t want this life. On the other hand, though, from my limited experience, they don’t need it. The focus of Costa Ricans lies on something completely different. The things that make them happy is much more basic. Good food on the table, a family that loves you and a roof over your head is a good start – combine that with some good waves or similar and you’ve got what you need. Denmark, where I’m from, often prides itself on being the happiest country in the world – and on many lists, we are. But Costa Rica also scores high and even ranks #1 on this link for example. The one that ranks Denmark #1 is the world happiness report and in my personal opinion it is the more thorough list. Nature alone Costa Rica worth a visit. Without trying to sound too much like a Wikipedia page, I’ll list a few of the things that make this country remarkable. Although a small country, it contains more than 5% of the worlds biodiversity and 25% of the country is protected as national parks and similar protected areas. It has volcanoes, rain forests, beaches, mountains, rivers and everything in between making it a haven for adventurers and nature lovers alike. Alligators, pumas, sharks, sloths and nose bears can be found here along with a myriad of bird species. 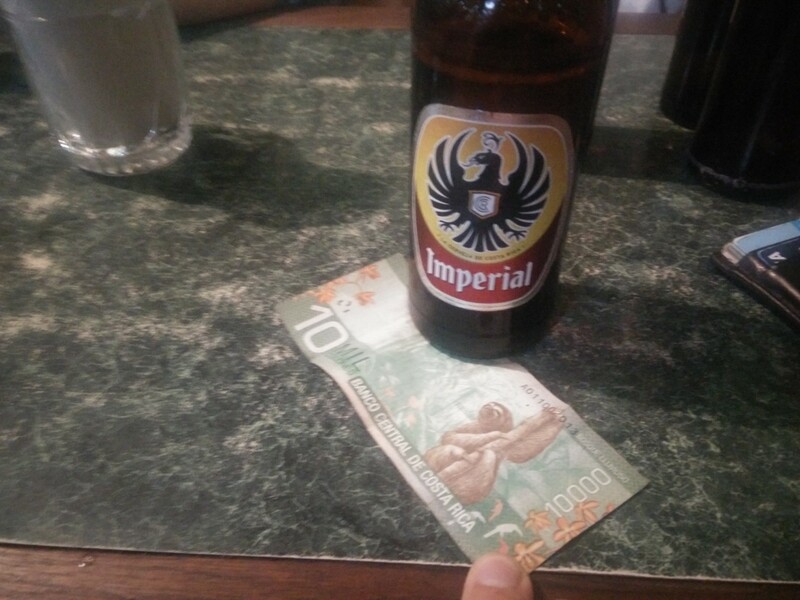 The 10.000 colones note even has a sloth on it! In conclusion. I’m sure you’ll like it!